J.K. 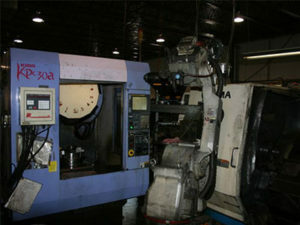 Pulley Company, Inc. is a provider of robotic machining services for high volume production runs. 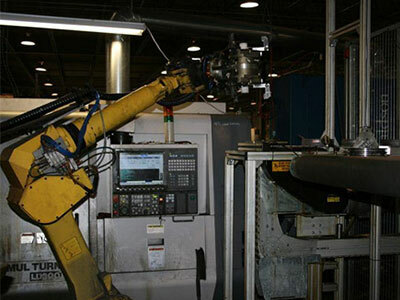 We are equipped with advanced state-of-the-art robotic cells, which are capable of automatically performing continuous production runs with minimal human involvement. 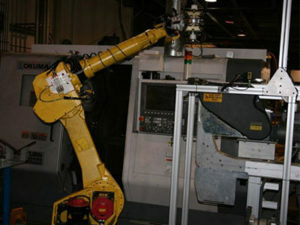 Our completely automated robotic cells translate into considerable cost-savings and reduced lead times for our clients. Our robotic cells are capable of performing a variety of processes, including turning, drilling, tapping, broaching and many other processes. 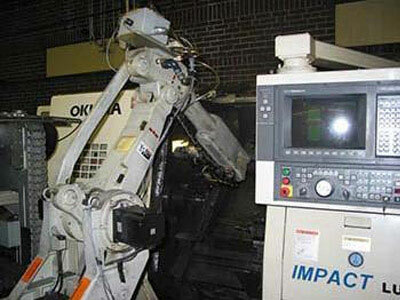 We have a diverse range of robotic cells, containing a variety of machines, ranging from CNC lathes to broaching machines coupled with Motoman robots and loading and unloading conveyors. We use robotic cells in the manufacture of a variety of parts, including pulleys, gears, and other parts. We are accomplished in working with a number of materials, including steel, stainless steel, aluminum, and many others as well.